"Is there any way to wipe an iPhone 6 or perform a hard reset? All of our data has been backed up to the cloud, but we can't get there because iTunes wants the passcode to continue to run the reset." Sometimes we have to reset an iPhone in order to fix a problem. Or we need to wipe clean an iPhone before selling or giving it away. In this article I will show you 3 ways to reset or hard/factory reset an iPhone 6/6s withtout iTunes or passcode. As you may know, reset iPhone may clear all your iPhone data. If you don't want to lose your iPhone data, you'd better back up your device before resetting your iPhone. You can use iTunes or iCloud to back up, or use Tenorshare iCareFone – a third party tool that provides more flexibly backup choice. When You Need to Reset/Factory Reset an iPhone? When an iPhone is disabled, you have to factory reset it in order to unlock your iPhone. Tenorshare 4uKey is the best software to reset disabled iPhone to factory settings without iTunes or passcode. Run Tenorshare 4uKey on your Windows/Mac. Tenorshare 4uKey will start restoring your iPhone 6 to factory settings with the firmware. After system restore, your iPhone is restored to factory settings. You can set it up as new or restore from previous backup. Note: When an iPhone is stuck during or after update/jailbreak, such as stuck at recovery mode, DFU mode, black screen, constant restart, or apple logo, you can fix all these issues without wiping data. Just choose Tenorshare ReiBoot --"Fix All iOS Stuck" feature and follow the onscreen guide to restore your iPhone 6/6s/7/7s/5s/5 or iPad without iTunes and data loss. You can reset iPhone without iTunes and computer by using this method. Here are the steps. 1. Tap on Settings app on your device, and tap on General, and then Reset. 2. 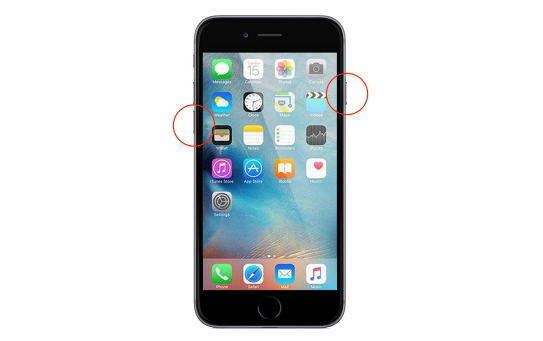 There are several options of resetting an iPhone 6 or other iOS devices. Reset All Settings: This option will simply reset all settings on your iPhone to their default settings. You won't lose files, documents, data or apps. Erase All Contents And Settings: This is a factory reset option. It will completely wipe all data and settings in your device. Reset Network Settings: This will only reset all network settings on your device. It will wipe out your saved Wi-Fi passwords. This method is best recommended when you consider selling your iPhone 6 or giving away your device. Your iPhone stores all your personal data and information which you never want to leak. Tenorshare iCareFone Cleaner – Full Data Eraser is designed to wipe clean an iPhone completely without iTunes. 1. All data and settings on your iPhone are permanently deleted. 2. Nobody can ever recover your data by any means once erased. 3. Support all iOS devices: iPhone 7/7 Plus, iPhone SE, iPhone 6s/6s Plus/6/6 Plus, iPhone 5s/5c/5/4S, iPad Pro, iPad Air, iPad, iPod touch. 4. Fully compatible with iOS 12, iOS 11 or below. Step 1. Install Tenorshare iCareFone Cleaner on your computer, launch it and choose Full Data Eraser. Step 2. 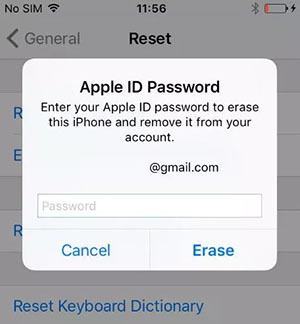 For the reason that erased data can't be recovered, you are requested to type "delete" to confirm a full erase of your iPhone. The program will start resetting your iPhone upon confirmation. Step 3. After a few minutes, your iPhone is factory reset successfully. Let's see some of the most prominent reasons why you would need a reset or hard reset/factory reset on an iPhone, iPad or iPod. 1. When your iPhone is running into a glitch, like random crash, screen freeze, stuck on apple logo/recovery mode/reboot loop/, system errors, etc. 2. When your iPhone is disabled. 3. When all or some of the functions do not work properly on your iPhone. 4. You believe that your iPhone has been attacked by virus or it is being monitored by someone else. 5. You want to wipe all personal data before you sell your iPhone or give it away. 6. You need a reset to have a fresh new iPhone. We share three different methods here about how to reset iPhone 6, 6s or other iOS devices without iTunes. It is a complete guide when you want to reset or restore your device. Let us know if you'd like to know anything else. We'd love to hear from you. 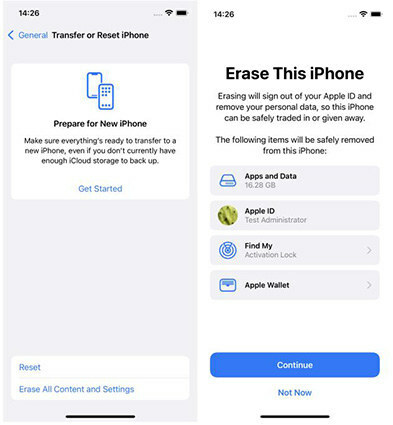 If you lost files due to wrong deletion, jailbreak, iOS update/downgrade, or iPhone is stolen or lost, see 3 methods to recover iPhone lost data.